3M hand pad use with 6-inches diameter Stikit discs. Made with soft density foam for conformability. Has 1 inch wide strap for holding the pad to the operator's hand. Neoprene rubber construction provides excellent conformability. Attachment type: Stikit. Black color. Converted form: backup pads, disc. Density rating: soft. Diameter: 6-inches. Equipment - machines: hand sanding. Form type: hand. Front color: black. Thickness: 1 inch. 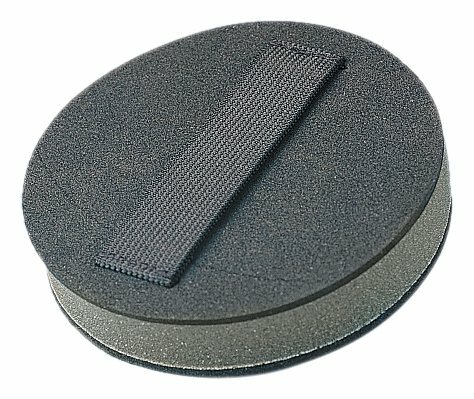 View More In Sanding Disc Backing Pads.